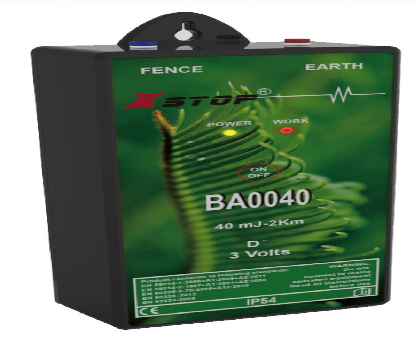 Model BA0040 smaller Battery Fence Energizer can be operated by D-cell battery. Convenient, portable and can be quickly to establish for your electric fencing.Ideal for providing portable power for short term wild or domestic animal control in remote areas when have no reliable mains power supply. Looking for ideal High Effective Battery Fence Controller Manufacturer & supplier ? We have a wide selection at great prices to help you get creative. All the Smaller Fence Charger for Animal are quality guaranteed. We are China Origin Factory of Outdoor High Voltage Output Fence Charger. If you have any question, please feel free to contact us.